protein A resins, interconnecting more than two columns in the load zone provided little improvement in performance (2, 3). 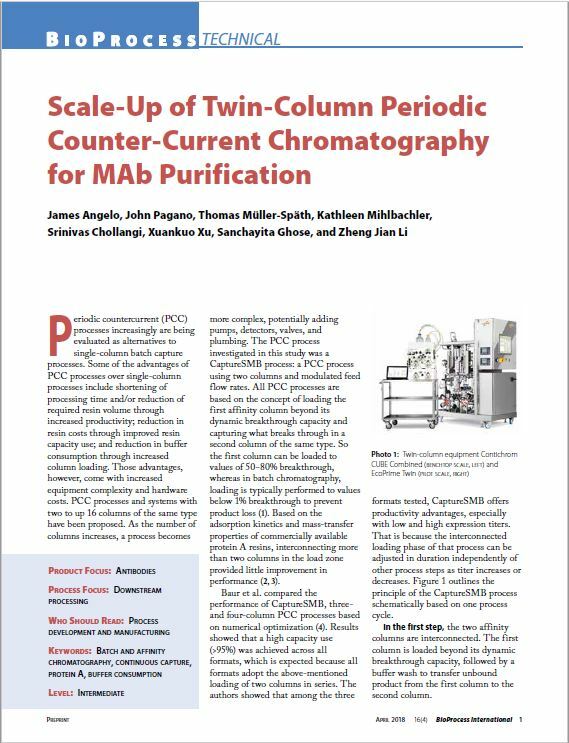 Click on the image to the right to view this pre-print version of an article that will appear in the April 2018 issue of BioProcess International magazine. Click on the image above to download the PDF pre-print.